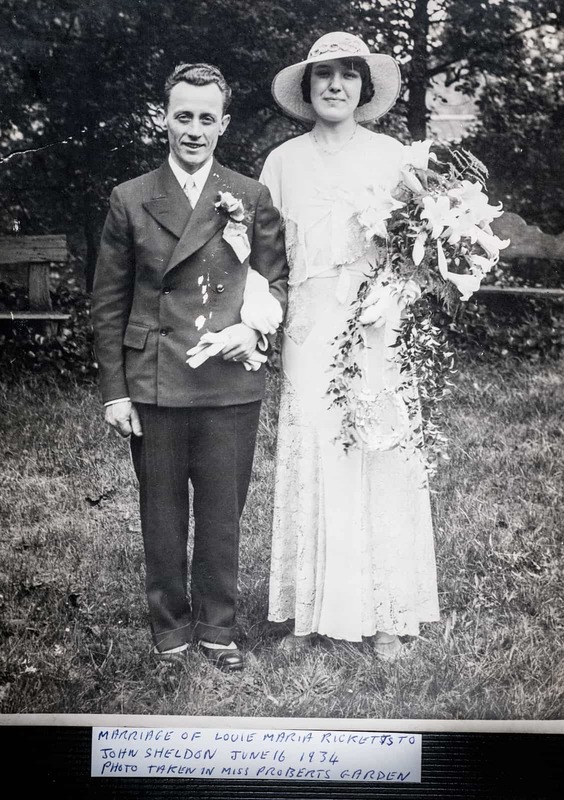 This is my mum and dad on their wedding day in Oldbury in 1934. They do look lovely here, so smart. Everyone used to say ‘oh your dad, he looked like a gentleman’ but in reality he wasn’t at all. My mum was beautiful, a lovely lady, she was a proper mum. She was always there for you. Me and Barbara, we learnt a lot from her. We used to do jobs on a Saturday, we learnt how to cook, how to bake, shopping and all sorts. I do think this is what’s wrong with the youngsters today – they don’t seem to have a clue as to how to do anything. But Dad, he was very different. When we heard the back gate stuff all four of us had to sit down and shut up. Dinner had to be on the table. He was very Victorian.